I’ve been using the iPhone 6 and iPhone 6 Plus for a week now. I picked them up from Apple after the event ended on September 9 and have been switching back and forth for the last seven days. I find it interesting that Apple’s naming convention for the iPhone 6 models changed slightly from the previous generation. Currently we have the iPhone 5S and iPhone 5C, which gives you the feeling that there is a lower-end model. I don’t think that worked too well for Apple. 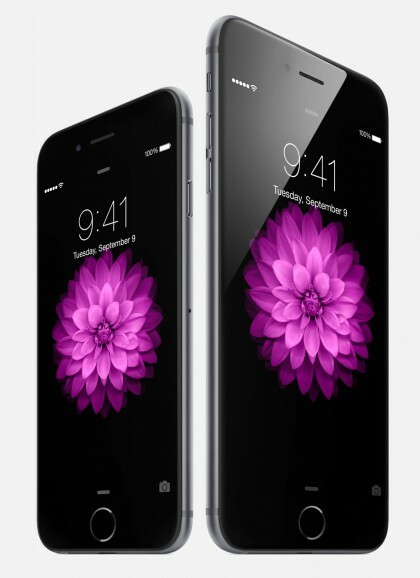 With the new iPhones, we will have the iPhone 6 and iPhone 6 Plus. To me that indicates that Apple has a high-end model and a higher-end model. There is no low-end model anymore. It’s a very small change, but I think it fits Apple’s image much better. As with all of my reviews, I will give you my opinions based on how I use the iPhones, not on the specs. 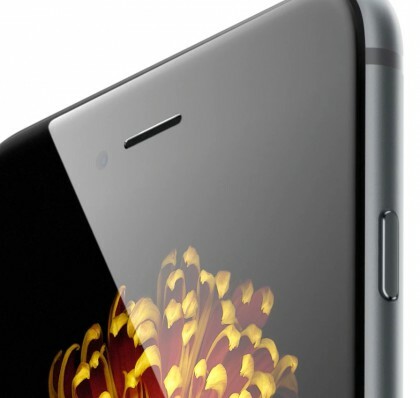 iPhone 6 is probably the easiest and most satisfying upgrade an iPhone owner will ever have. It looks like an iPhone, it feels like an iPhone, and it comes with a new design and new features. This isn’t just a larger version of the iPhone 5S display—this is a new Retina HD display. You can see the difference just looking at it. It seems brighter and more vivid to my eye. I’ve said before that one-handed use is important to me. I often use my iPhone while drinking a coffee (or Heineken), or walking through an airport, or so many other scenarios where using one hand is a must, so being able to control the device with one hand is significant. It is tough to reach the far top edge of the screen, but I can do it with a little stretch. It’s easier to shimmy my hand up the phone and touch the far edge, if I need to, but to be honest, holding the iPhone in my left hand, there isn’t much on the far right side that I ever need to touch. Of course, I could always use Reachability, a new feature for the new iPhones, but that seems more useful on the iPhone 6 Plus. iPhone 6 fits easily in my pocket, which is another thing I really like. I typically don’t use a case with my iPhone, so I don’t have any extra bulk to worry about, but I did wonder if it would be comfortable walking around with, and it was. With the larger size of the iPhone 6, Apple did make one change that makes sense, but has been hard to get used to—the Sleep/On/Off button has moved from the top to the side of the iPhone. When I hold the device in my hand, the button is perfectly situated on my index finger, which makes it easy to put the iPhone to sleep. If they kept the button at the top, I would have needed to adjust my grip or use two hands to put it to sleep. That was a smart change. That’s what I said when I first got my hands on the iPhone 6 Plus. It’s big—bigger than I expected, even after seeing it on screen at the keynote. The 6 Plus was awkward for me to use at first—it was kind of like using a smaller version of the iPad mini, but it was a phone. I had a hard time wrapping my head around the idea of using it on an ongoing basis, but the larger screen eventually won me over. I wear reading glasses now because text on Web pages and email is getting more difficult for me to read. 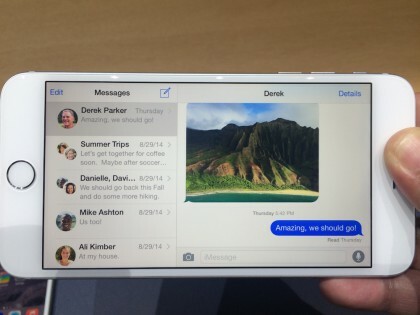 The iPhone 6 is certainly an improvement for me, but the iPhone 6 Plus was perfect. There is certainly a convenience factor in having a smaller phone and being able to tuck it in a pocket and continue on with your day. However, being able to properly use the device will outdo convenience every time for many people. The other thing I really enjoyed with the iPhone 6 Plus is using the larger screen when taking pictures. I’m not a photographer, but I do enjoy taking pictures when I go places. In recent years, those pictures have become more blurry, mostly because I can’t see the screen when I snap the shot. The 6 Plus solved that issue for me. The larger screen also allowed Apple to make alternate views of Mail, Messages and other apps, similar to what you get on an iPad, when you turn it to landscape mode. Personally, I like that because you get more information on the screen, which means less tapping back and forth. My fear was that Apple would make a larger screen iPhone, but not do it right. When doing a larger device like this, you have so many more details to worry about. Some of those details are aimed squarely at users like me that like the one-handed use of smaller iPhones. Apple addressed this by implementing a new feature called Reachability. This allows you to double-tap the Home button on the iPhone, which makes the entire screen drop down, giving you access to touch items that were too far away to reach. It works on every screen and it works very well. That doesn’t fully address the side-to-side stretch, but it does help. Of course, the easiest way to use the iPhone 6 Plus is with two hands. My experience with the 6 Plus became much more enjoyable after I gave up trying to see how it worked with one hand and used two. One-handed operation can be done, two-handed is optimal. 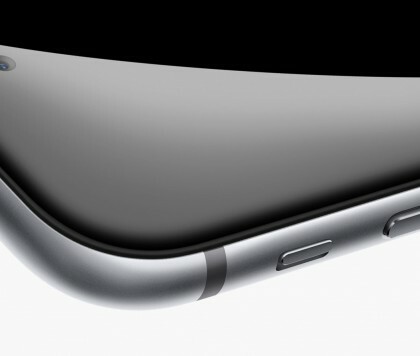 I still can’t imagine walking around with a device as big as the iPhone 6 Plus to my ear, talking on the phone. That would just look silly. I’ve said it about other devices this size in the past and my opinion on that hasn’t changed. Maybe a Bluetooth ear piece would be a nice add-on for the iPhone 6 Plus. For me, I think the iPhone 6 will be the perfect upgrade for people in the U.S. that haven’t embraced larger screen devices yet. It’s the perfect size for almost any hand. Both devices are very fast and with the help of Apple’s iCloud services, they can be setup and ready to use in under two minutes.